-.Sybil (with Sultana and Sultano) at Milton Keynes International Festival 2014. Although the film quality is not marvelous (and Sultano has ripped his pants), it is the only footage we have so far of Sybil on a spree. 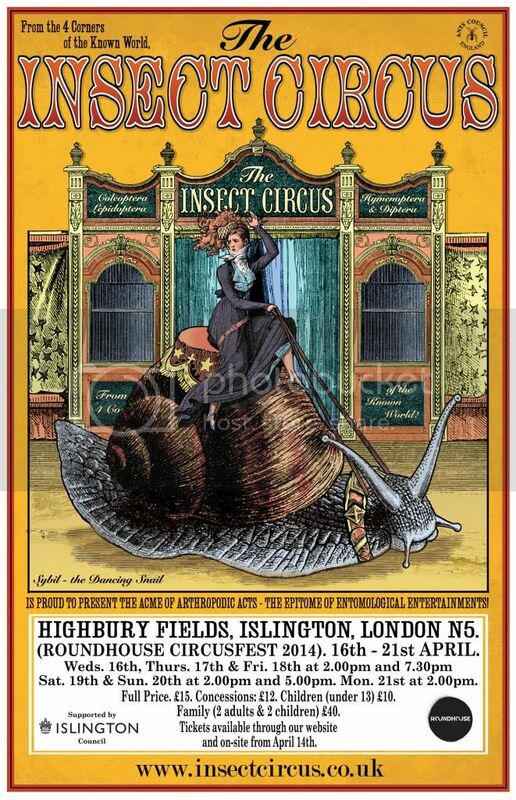 Sadly our Roundhouse CircusFest 2014 appearance was canceled due to waterlogged ground. A lovely little Swiss Info film of our recent excursion to Geneva. 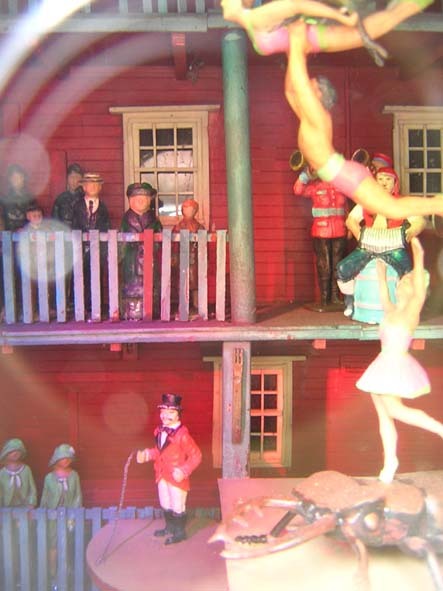 The Insect Circus Museum is proud to have been used as a location in the Puppini Sisters 2008 video - 'Jilted'. It was directed by Alex de Campi who graciously then edited our 'Showreel'. 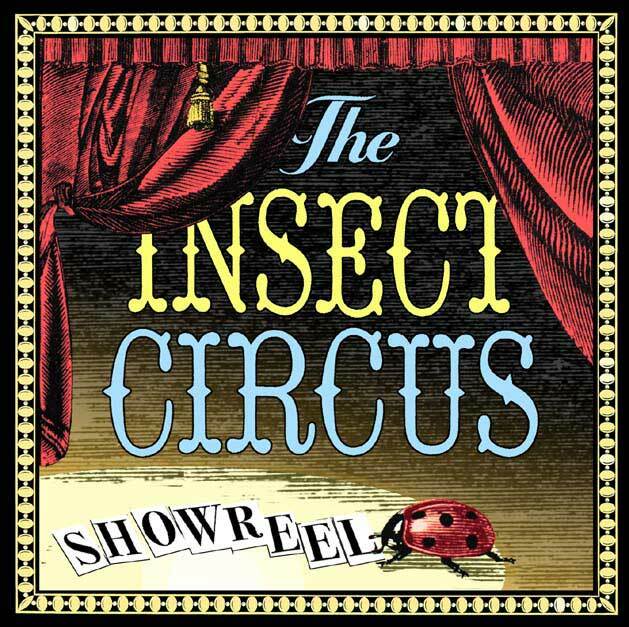 The Insect Circus Showreel. Filmed by Philippe Vartan Khazarian and Rob Haynes and edited by Alex de Campi. Roland has been renovating an old family heirloom- 'Mr. 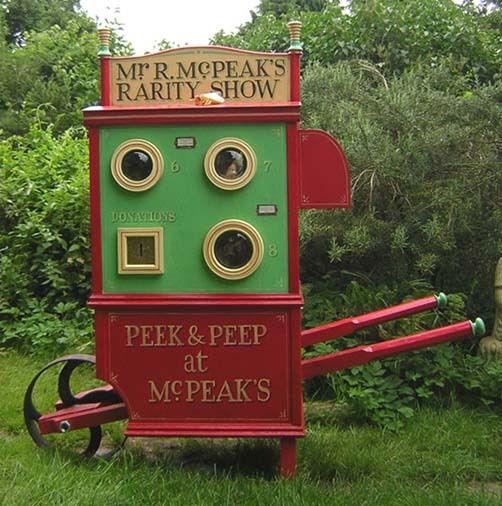 Mc.Peak's Rarity Show'. This old wonder was premiered at the Roundhouse on 12th July 2007 as part of 'A Night at the End of the Pier with Marisa Carnesky'. Sadly it has again fallen in to disrepair and is no longer available for showing. 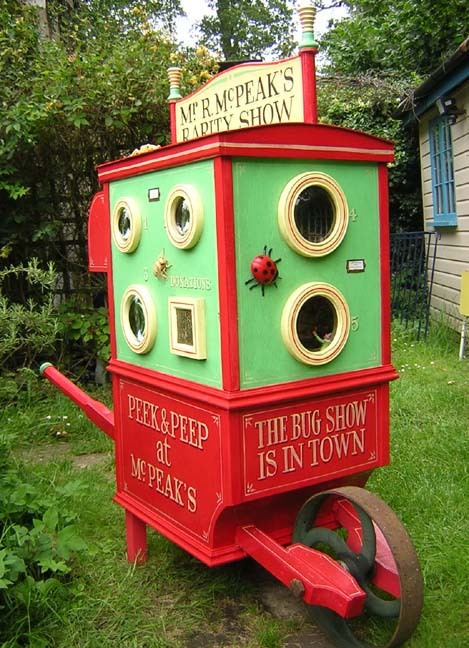 However, some of its contents have now been installed in the Insect Circus Museum! 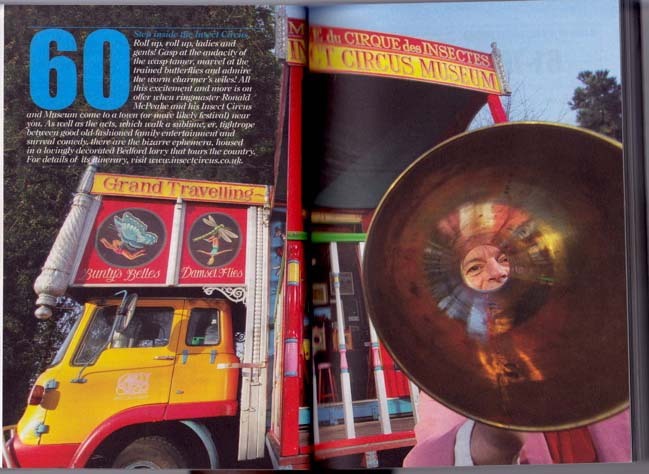 In 2008 the Insect Circus was chosen by Time Out to be one of the '1000 Things to do in Britain'. 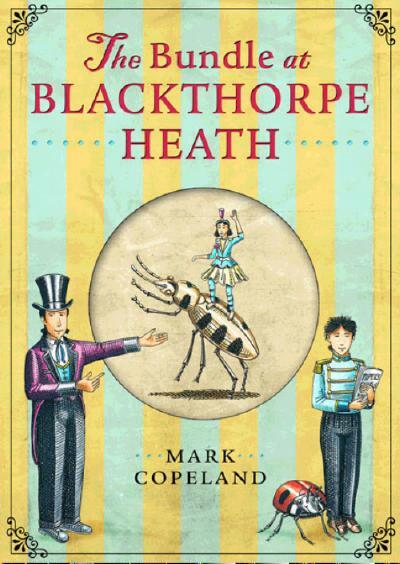 THE BUNDLE AT BLACKTHORPE HEATH, written and illustrated by MARK COPELAND was published, by Houghton Mifflin Co. Boston, on July 26th 2007. 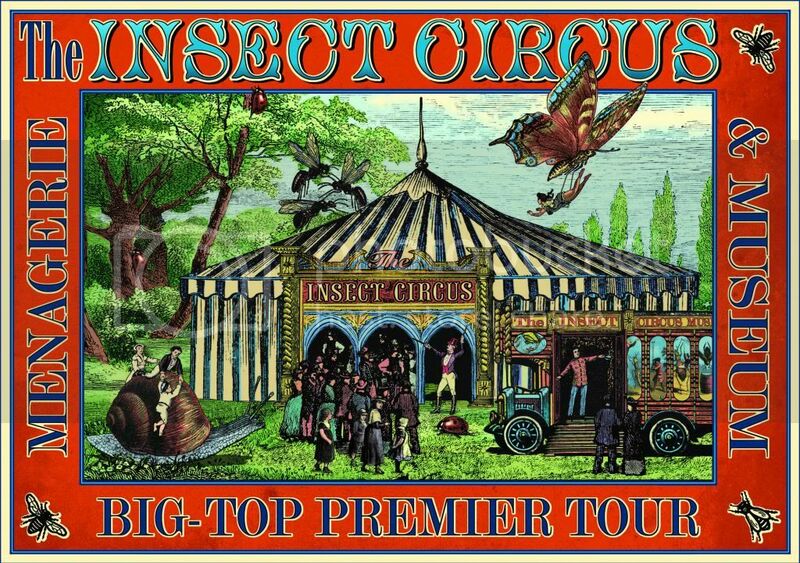 Set in the world of the late Victorian insect circus, the author gathered the source material for this rather wonderful tale from the Insect Circus Society's extensive collection. Hardcover; 224 pages. Coming Soon. 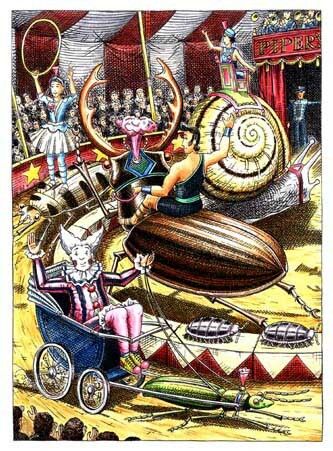 Publication Date: 06/26/2006. Available to order now at on-line bookstores. KIRKUS REVIEW. 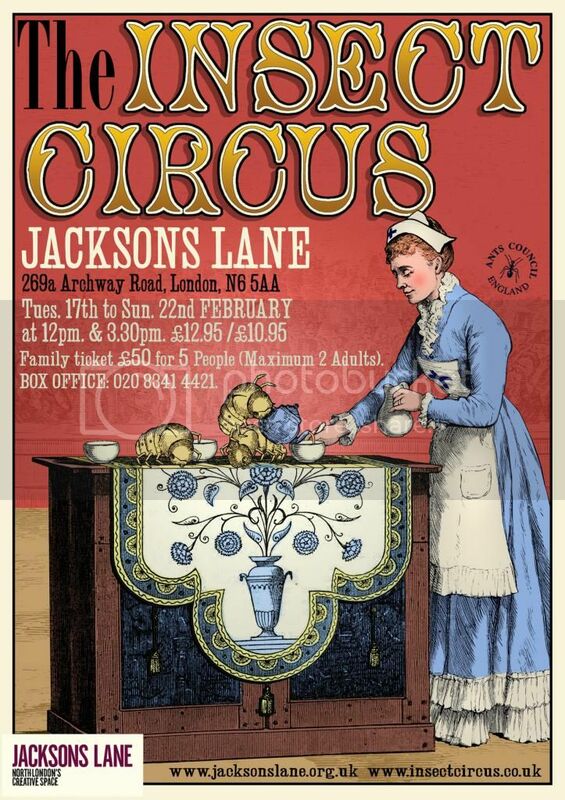 July 2006:"The expertly tightened suspense builds to a magnificently funny climax with an entirely satisfying closing twist...A good prospect for hottest ticket of the season." School Library Journal :"The story strikes a charming balance of mystery and drama...the eclectic cast keeps the pages turning." Publishers Weekly :"...Copeland's charming fantasy of human and insect interaction...will likely amuse both adults and children." 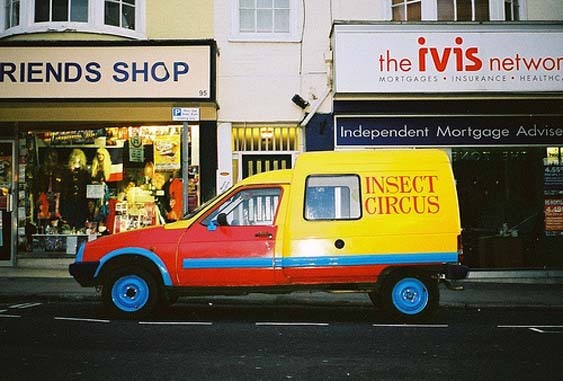 Van - gone but not forgotten.